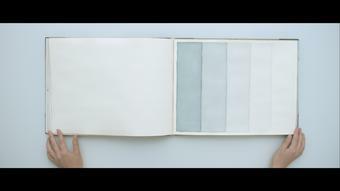 This set of three bound volumes collects together a selection of watercolour tests carried out over four years in the artist’s Copenhagen studio as studies for various larger watercolour paintings. 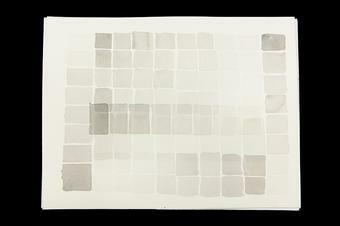 These sketches and experiments represent attempts to establish processes for scaling pigments, executing fades between colours, and comparing luminosities. 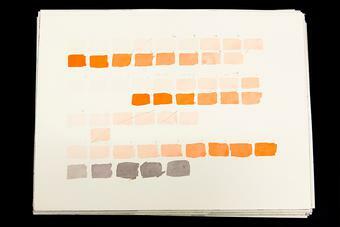 The tests in these volumes also investigate methods of employing layers to depict motion and depth in the medium – that is, methods for achieving three- and four-dimensionality in a two-dimensional format. 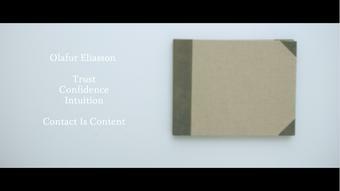 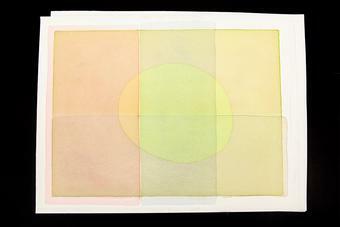 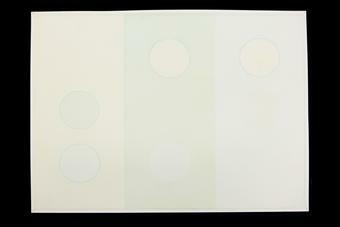 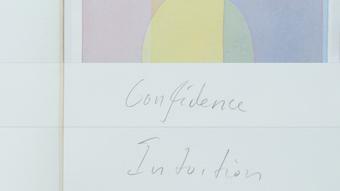 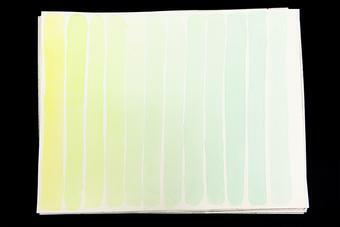 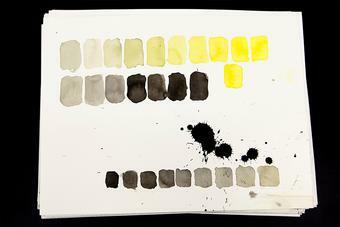 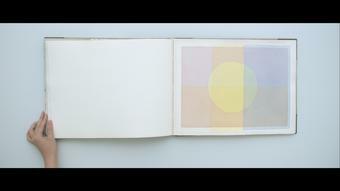 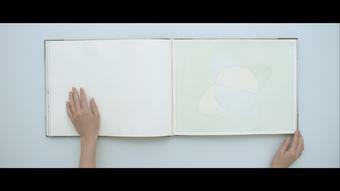 These pages from the sketchpads present material that contributes to the production of Eliasson’s watercolours and were selected and curated by the artist.